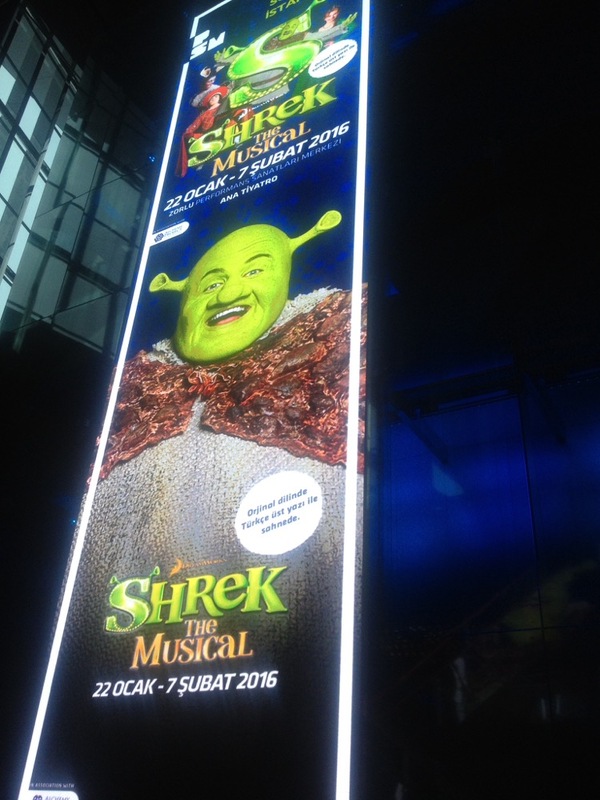 Shrek the Musical recently kicked off its first ever global tour in Istanbul, staged by Broadway Entertainment Group FZ and NETworks Presentations and featuring sound design by Shannon Slaton, acclaimed for a host of Broadway shows and US tours including Hairspray, The Producers, Kiss Me Kate, and Memphis The Musical. Sound equipment and technical support is from Orbital Sound, London. 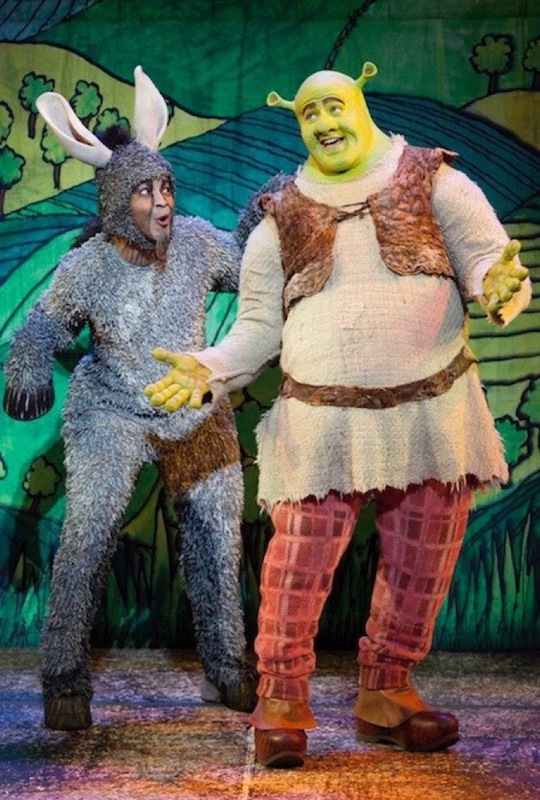 "It's very important to me that audiences can hear the lyrics clearly, with Shrek involving quite a range of styles from moody numbers in dripping caves to the really big Dragon Song number, which needs to feel a bit like a Meatloaf concert! One of the big issues is how to mic over the actors once they are in costume. For Shrek, with his prosthetic head and shoulders, we have to run a pair of mics under the mask (cowl) before he is put into it, as he stays in costume for the entire day. The three pigs are another challenge, as the latex noses change the sound of the voices, and so we have to pad the noses to create a more natural sound." The show involves a couple of firsts for Shannon, namely working with Orbital Sound and using the d&b audiotechnick T-Series loudspeaker system. Shannon and his experienced American team spent two weeks at Orbital's London HQ to prep the show with project manager Marine Guequière, building up an important working relationship: "We had a great time and loved getting to know the team. By spending this time together, we were able to work on a variety of solutions, learning new things as well as sharing some of our practices. I am really pleased with how the show sounds – I had heard a lot about the T-Series but this is the first time I have used the T-10s at this scale, and it does a fantastic job." There was also a first from Orbital Sound's point of view, involving the new SDS Theatre Products range made by American manufacturer ETS. Shannon's specification included the InstaSnakes™ system, which combines audio and/or video signal to cat5 cable, massively reducing the cable count and complexity. InstaSnakes™ has become a critical part of Shannon's system designs, as he elaborates: "By using twisted pair, you get a more balanced signal and lower noise floor than with XLR, and it makes a really noticeable difference. It also speeds up the system set-up and dismantling at each venue. By using a 100% shielded Ethercon cat5 system, you get nothing but benefits – it's easier to use, smaller, lighter, cheaper and simpler to troubleshoot – all pluses that make a huge difference. Marisa Barnes, my sound Number 1, is touring this show in some really unfamiliar places, and it has really improved her confidence to know that we are using InstaSnakes." Orbital's MD Chris Headlam commented:" On paper, InstaSnakes™ looked too good to be true. But having done our due diligence research, we realised Shannon was pushing something really clever and brilliant in it's simplicity. InstaSnakes™ has no digital electronics to go wrong; no software to master – it defies science, delivering clean, top-notch audio and video, and makes a huge contribution to simplifying touring. A total win/win. We're very grateful for his guidance and judgment, and are busy incorporating it into our touring repertoire. A great example of innovation coming from our highly experienced American comrades." Out front on mixing duties is a DigiCo SD10 with T software, Shannon's regular choice. 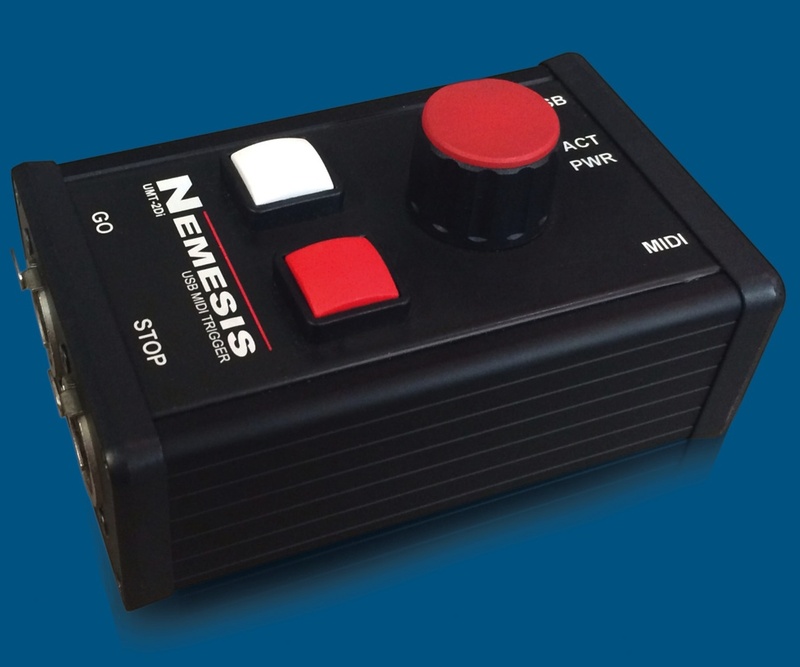 Another small but vital component in the equipment line-up is the Nemesis show control hardware, with the CCS-2 Computer Control Switch used for the playback computers. For Shannon, it fulfills a crucial but often overlooked aspect of the sound, commenting "it's a great little box. We are really impressed with it, and it fills a hole that needs to be filled." Shannon's sound team includes associate sound designer Harry Platt, alongside Sound Number 1 Marisa Barnes and Brian Achenbach as Sound Number 2. Nemesis CCS-2 "it's a great little box. We are really impressed with it, and it fills a hole that needs to be filled"